For the member of the Missouri House of Representatives, see Bill Kidd (American politician). 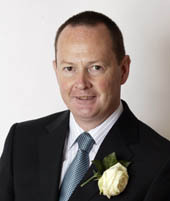 William "Bill" Kidd (born 24 July 1956) is a Scottish National Party (SNP) politician, and Member of the Scottish Parliament for the Glasgow Anniesland constituency since 2011, having previously represented the Glasgow region 2007−2011. He was a clerk at the Clydebank District Council, before enrolling as a mature student. Kidd was the SNP candidate at the 1987 general election for Glasgow Hillhead but finished in fourth place with 2,713 votes, losing to George Galloway of the Labour Party. Shortly afterwards, he left the SNP to become a founding member of the Scottish Socialist Party (unrelated to the current party of that name). He stood for the SSP at the Glasgow Central by-election, 1989, but later re-joined the SNP. He stood again for the SNP at Cunninghame South at the 2001 general election but finished in second place with 5,194 votes to Brian Donohoe of the Labour Party. At the 2003 and 2007 Scottish Parliament elections, he was the SNP candidate for Glasgow Anniesland, finishing in second place on both occasions. In 2007, he was elected as an MSP for the Glasgow region. The following day, he was also elected as a Councillor for the Drumchapel/Anniesland ward of Glasgow City Council. In 2009, he decided to concentrate on his Holyrood role and stood down as a Glasgow City councillor. In 2011, he was elected as MSP for Glasgow Anniesland, defeating the Labour candidate by only seven votes. In the 2016 election, Kidd retained the seat, this time with a majority of 6,153 votes. He is a past Convenor of the SNP's Glasgow Regional Association. ^ a b c Wilson, Iain (1 May 1989). "SNP defector to stand for new party". The Glasgow Herald. Retrieved 30 December 2016. ^ Fraser, Graham (6 May 2011). "Glasgow Anniesland won by SNP in astonishing result". STV News. Archived from the original on 29 March 2012. Retrieved 2 January 2016.